D'Este, Carlo. Patton : a Genius for War / Carlo D'Este. -- 1st ed. -- New York : HarperCollins Publishers, 1995. Fussell, Paul. The Great War and Modern Memory. New York : Oxford University Press, 1975. ---, ed. 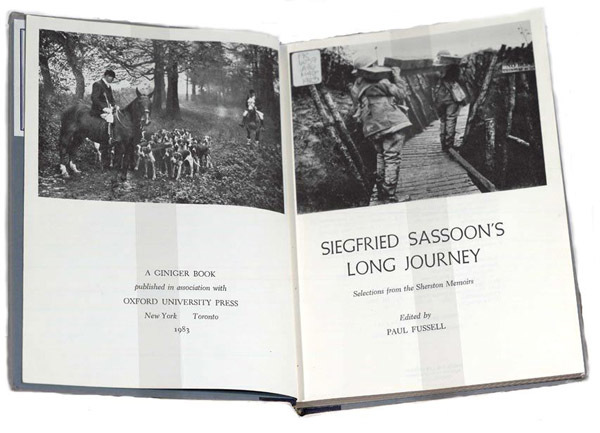 Siegfried Sassoon's Long Journey : Selections From the Sherston Memoirs. -- New York : K.S. Giniger Co. : Published in association with Oxford University Press, c1983. Giddings, Robert. The War Poets. -- New York : Orion Books, 1988. Holt, Tonie, and Valmai Holt. Violets From Oversea. Charlotte Zeepvat provided the illustrations, chose the original 20 poems, supplied general research and comprehensive drafts on Hodgson, Coulson and Macintosh. -- London : Leo Cooper, 1996. Judd, Alan, and David Crane. First World War Poets. London : National Portrait Gallery, c1997. Patton, Robert H. (Robert Holerook). The Pattons : a Personal History of an American Family. -- 1st ed. -- New York : Crown Publishers, c1994. Powell, Anne, ed. A Deep Cry : A Literary Pilgrimage to the Battlefields and Cemeteries of First World War British Soldier-Poets Killed in Northern France and Flanders. Edited and introduced by Anne Powell. -- Aberporth, <Wales> : Palladour, 1993. Stephen, Martin. 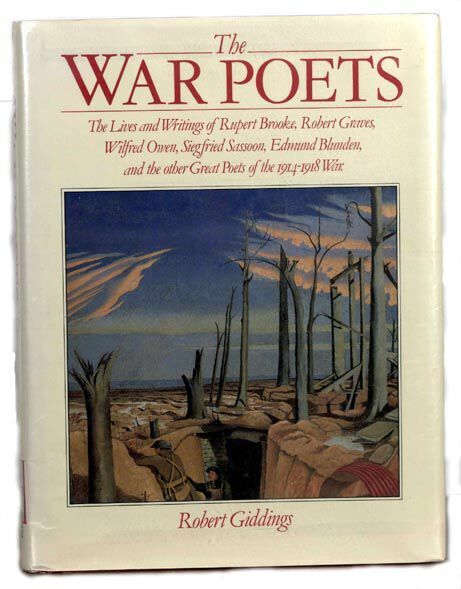 The Price of Pity : Poetry, History and Myth in the Great War. 1st ed. London : Leo Cooper, 1996. _____, ed. Never Such Innocence : A New Anthology of Great War Verse. Edited and introduced by Martin Stephen. London : Buchan & Enright, 1988. Winter, Jay, and Blaine Baggett. The Great War And the Shaping of the 20th Century. New York, N.Y. : Penguin Studio, c1996.